Is Forecasting Becoming More Important than Budgeting? This article will discuss the difference between forecasting and budgeting, specifically in the context of which process might be more important to modern business planning. Recently, I was talking to a finance professional who oversees accounting processes and helps his organization make decisions about the future in regard to budgeting and forecasting. He posited that forecasting might be more important to running a business today than traditional budgeting – and it made me think. I’m always writing about the constantly evolving world of technology and the fast pace of today’s business culture, so shifting away from a traditional way of accomplishing data management and analysis tasks sparked my interest. Thus, this article will explore the differences between budgeting and forecasting to hopefully arrive at a better understanding of what is more impactful and productive to business today. This article will contribute to the conversation regarding third party budgeting and forecasting tools and their key features and functionalities for SAP Business One. Unless you are a part of the special interest population of people that enjoys budgeting, it’s safe to say that budgeting and forecasting are probably some of the most dreaded business tasks today. It might be related to the flimsier tools budget managers are relying on to perform the task. Companies of any healthy size are realizing that manual Excel spreadsheets just are not robust enough for their business needs and are starting to seek an Independent Software Vendor (ISV) budgeting solution to streamline their planning processes. Today’s modern offerings accelerate budgeting and forecasting by inviting secure collaboration into the process. Managing financials is so important to living within your company’s means, so that you can remain competitive. 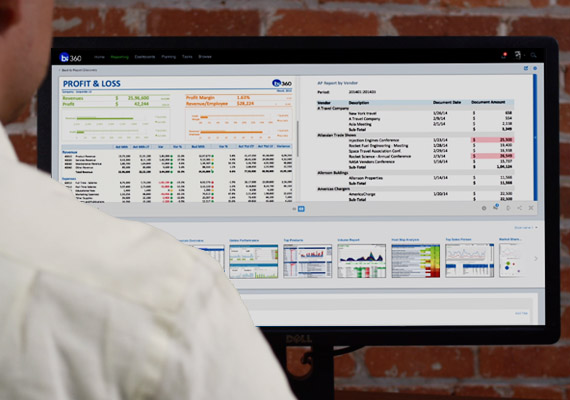 When it comes to budgeting using data from Dynamics NAV, modern third party BI tools can offer the functionality you need to put together rolling forecasts and multi-year budgets, in addition to traditional planning, project budgeting, forecasting, and modeling. Are you like most people I talk to who find budgeting to be a true pain in the neck? Most CFOs and other finance team members I have spoken with about their budgeting procedures generally go from pleasant to exasperated in seconds as they detail their headaches putting together an actionable plan for their company’s financials in the coming year. When it comes to budgeting using data from SAP Business One, modern third party BI tools can offer the functionality you need to put together rolling forecasts and multi-year budgets, in addition to traditional planning, project budgeting, forecasting, and modeling. This article will explore today’s budgeting solutions options. Is budgeting one of the most dreaded tasks in the realm of business – or do some of you find it exciting? In my experience talking to CFOs, accountants, and other finance team professionals about the budgeting process, I haven’t gotten anything but a tightening of the facial muscles, a tensing of the body, exasperated sighs, and anecdotes of the tedious procedure of piecing together an effective plan for how a company is going to spend money for the upcoming year.